This large mixed use urban extension to the east of Selby was the subject of a planning application submitted in May 2012. The planning application was approved by members at planning committee in January 2014 subject to completion of the Section 106 Agreement. Spawforths are currently in discussion with the Council to finalise the S106 Agreement and expect the application to be decision notice to be issued in Spring 2015. 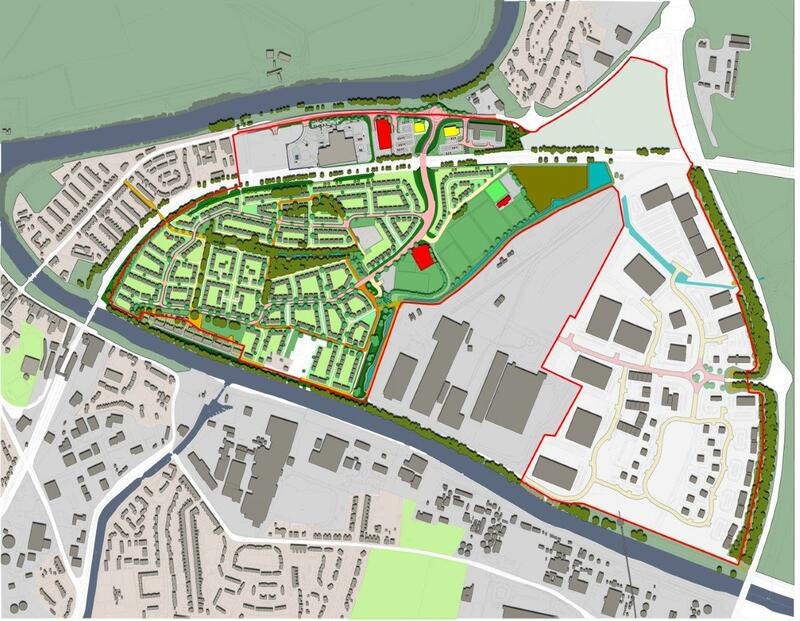 The application for 985 dwellings, A3/A4 and A1 retail units, new primary school and public open space is also identified as a strategic site in the emerging Core Strategy extends including a 36 ha employment site with a range of office, warehousing and industrial uses. The project is a joint commission using the full range of Spawforths' in-house capabilities including planning, masterplanning, landscape architects, architects and stakeholder engagement.